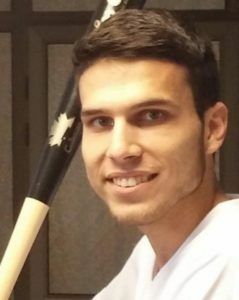 Alfredo Ríos is the youngest member of the technical staff of the national baseball preselection and will go down in history as the first sabermetrician officially appointed to work with the Cuba team. Alfredo Ríos is 27 years old, and he is the youngest member of the technical staff of the national baseball preselection, which these days is dividing its work between a training base in Mexican heights and continued training on the Island. Ríos, an engineering graduate from the University of Computer Science, was the last on the preselection and his inclusion attracted attention, to a great extent because many did not even know him, and because of the label of sabermetrician that accompanied his name, never before used in national teams. “A sabermetrician had never been officially named, it is an important step,” Ríos proudly recognizes in an exclusive interview with OnCuba. 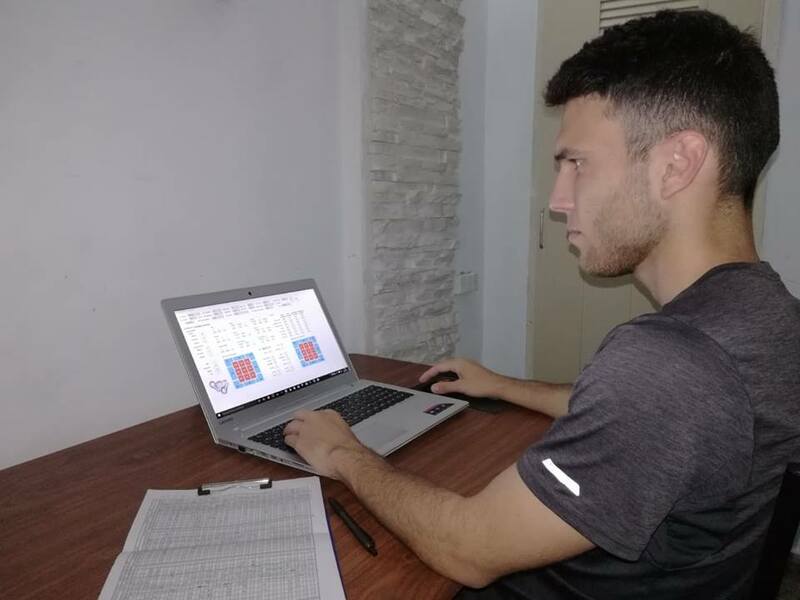 A member of the Cuban Sports Research Center (one of the National Institute of Sports, Physical Education and Recreation’s laboratories focused on the study of opponents, statistical analysis, etc. 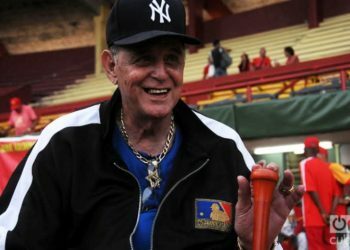 ), Alfredo has been linked to baseball for years, collaborating with players and coaches, but had not had the opportunity to offer his information at the foot of the diamond. Did you find it surprising that the post of sabermetrician was made official in the preselection? 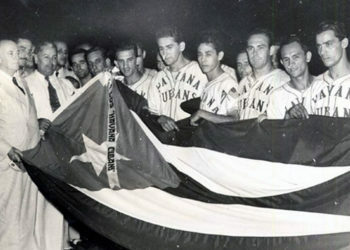 A little, but I think that this call is the continuity of the work that statisticians, computer technicians and sabermetricians have been doing for years, whether they are the specialists of the Cuban Federation or other enthusiasts such as the Baseball Research Group. In addition, everything that was done in the last National Series has been fundamental; each team had a computer technician at their disposal. This was a first step in the collection of data that, after processing, gives us important conclusions about the trends of our batters and pitchers. I repeat, it is only the beginning, huge amount of work of training and improvement is ahead. 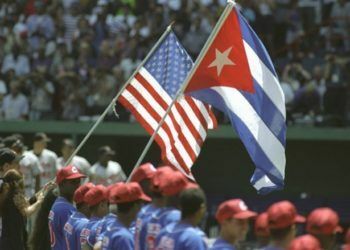 We can’t think that by dominating some tools we are at the top of the chain, on the contrary, in Cuba we need to make up for a lot of lost time, which is very complicated in modern baseball, which evolves day by day. What is the mission of Alfredo Ríos and sabermetrics in the national preselection? The main thing is to advise our coaches on the decision-making, making available to them both the characteristics of our players and of the opponents. This implies a permanent communication, and until now everything has flowed perfectly. 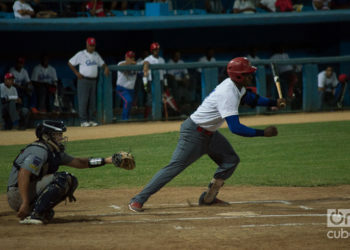 We have been working with Anglada from the start, from the preparation of the team and the planning of the training, attending to the characteristics of the players and the main deficiencies in recent years’ international tournaments, from the discipline in home plate, the difficulties to hit straight balls or the tendency to allow high connections. What are the tools you work with? We rely primarily on the Strike Zone application, developed by me in the master’s thesis. Through this tool we can analyze, pitch by pitch, the weak and strong areas of the batters, if there is any tendency to prefer specific pitches. 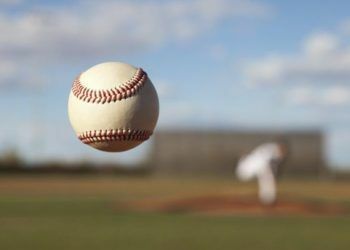 In addition, we see which are pitchers’ most effective throws, we study the speed and distribution of their pitches and the effectiveness of the repertoires. Another program that we have developed has to do with defensive positioning, which helps us locate players in the field according to the distribution of opponents’ connections. 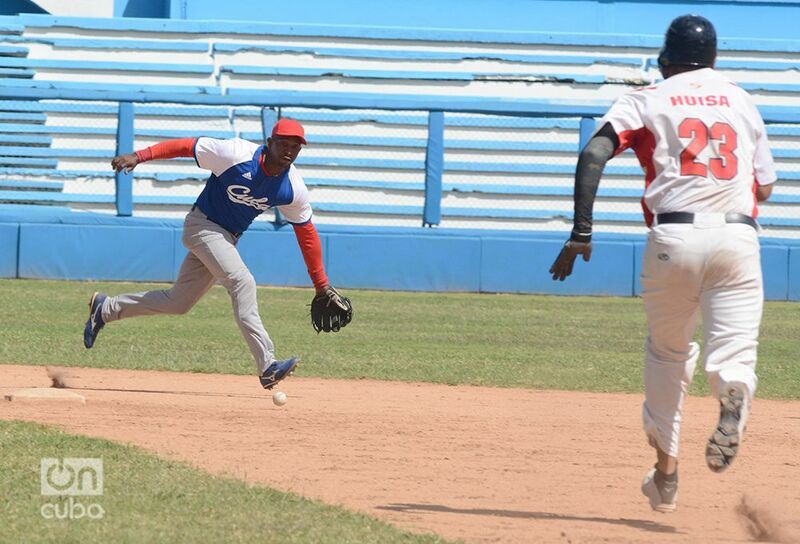 Defensive positioning is today one of Cuban baseball’s many debts. Photo: Gabriel García. What are the limitations in this process? The most complex thing at this point is that we don’t have as large a data sample as we would like, particularly from our players, because these systems have not yet been fully expanded in the country. We need to promote these tools much more, standardize this information collection process, because the more details that can be collected, the higher the percentage of success of our predictions. Are the players and coaches receptive with the information from the sabermetricians? They are receptive to the extent that we are systematic, if we are by their side all the time. It is a complex long-term cultural process that involves a total change of mentality. In professional baseball it was very difficult, although today there is full confidence in the technological information and in sabermetrics. But I think the most important thing in this aspect is to be close to the players, that allows us to directly provide them with data and tools that later help them in making decisions during the game. For example, if you tell them that an opponent, according to the conclusions of the systems, is vulnerable with high balls and brushback pitches, and indeed your information is true, they begin to trust and become more receptive to what you offer them. To what extent can sabermetrics, the use of modern baseball tools and technology have an impact in the international arena? 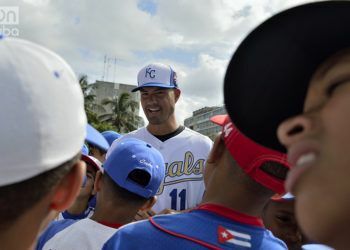 As I was saying, the application and assimilation of the new baseball tools is a long process, considering that in Cuba it has not gained so much importance, or that its implementation has been delayed a lot. Alfredo Rios has been a scholar of modern baseball trends for years. Photo: Taken from his Facebook profile. Currently, we are facing a high level international scenario, in which achieving results is very difficult for all due to the tremendous demands. It would be irresponsible to say that sabermetrics will eliminate all our problems, but I do believe that it will help us to anticipate and respond more effectively to certain game situations. This is not everything in baseball, we know it. In this sport, many technical, physical and psychological elements have an influence, but we will try to be the complement that will help us take a leap in quality.